Is #DevoManc a missed opportunity? These budgets of around £1Bn will be controlled by a new Greater Manchester mayor, directly elected from 2017 with an interim appointee. There will be a committee of the leaders of the 9 GM councils but unlike London, Scotland, Wales or Northern Ireland, no elected assembly. Not all powers will be devolved: significantly education, but this could, according to Richard Leese amount to some two thirds of public spending in the “city-region”. That our region is getting more power over its own affairs must be a good thing, and it is clear that the city’s leaders have worked for this for years. The UK is far more centralised than other countries of similar size. Since the time of the Thatcher governments local government has been, as they say, “hollowed out” with limited autonomy and ever reducing responsibilities: gone are education and housing, and it now seems incredible that it was local government that established our water, sewage, power and telecommunications, as well as part of the health service. Making decisions more locally, in theory, should make them more responsive and accountable to the needs and interests of people locally, and so give us better policies, plans and actions, improving the lives of all of us in Greater Manchester ……… but will it? Until the Thatcher regime abolished it, we once had an elected government at regional level. This was in the first place at the level of the county – something that broke down with increasing urbanisation, and our region being split between former Cheshire and Lancashire (and bits of Derbyshire and Yorkshire). In the 1973 reorganisation, we got the Greater Manchester council (to the consternation of people in Wigan and Saddleworth! ), but mainly because of the popularity of the Greater London Council and Ken Livingstone, as a site of radical innovation and resistance, the Tories simply abolished that tier. The new arrangements give no proper democratic accountability for the regional level. It is insufficient to vest that in one person who can be expected to understand, debate and deliberate over the multiple perspectives and interests of the region’s many peoples. And nor can the gang of nine council leaders, who will represent their own localities and parties, but not directly represent or interpret that diversity. As any systems scientist can tell you, it takes diversity to represent, interpret and act in an environment characterised by diversity but what we are getting is a technocratic-managerial fix, poorly suited (if sharp-suited) to heal the legitimation crisis of our failing democracy. Perhaps the rather strange way the “deal” appears to have been negotiated should be seen as an omen. And on the same theme, the people of Greater Manchester are not being given any say in these arrangements – although there is a campaign for a proper consultation and referendum. In Scotland that led to a resurgence of interest in politics and to political mobilisation, a kind of renewal of popular politics. Maybe that’s what George Osborne and the Manchester leadership are afraid of. So that’s the first missed opportunity, that of restoring democracy to our region. That could be a moment of creativity – we could have a small assembly whose members report back to their constituents via regular public meetings. They could be subject to recall. It could be run cheaply: it doesn’t need the glitz of The Greater London Assembly. The new deal sticks with the 1974 Redcliffe-Maud definition of the region, that corresponding to the council areas of Manchester, Salford, Wigan, Bolton, Bury, Rochdale, Oldham, Tameside, Stockport and Trafford. We have long argued that this is an inadequate definition of the region. Whether considered in terms of the “travel to work area”, or more creatively in terms of a potentially, relatively self-sufficient eco-region (or bio-region) it makes more sense to think in terms of a wider area, incorporating the city-region’s hinterland. We have argued that the upper Mersey valley watershed area is roughly what we should be looking at. Consider energy and carbon pollution. Much of the energy that the region needs could be generated in this wider area, whether we are talking about wind, hydro-electricity (and pumped storage), geothermal or (limited) biomass. Connecting with potential sources of tidal power on the coast implies the obvious – an eco-region has flexible boundaries. But we also need to consider positive policies to capture carbon dioxide, and prevent its emission, from the upland areas, via forestation, and from wetland areas. And what about food? In a world of increased turbulence, climate change and energy crunches and emissions reduction, we need to look at more local food production, and a considerable amount could be sourced within this wider regional footprint. Whilst devolution of powers to the region could be a platform for an integrated approach to developing a more resilient regional economy and developing food and energy security and sovereignty, its clear from the content of the deal as well as the delimitation of the area that this is not the priority. As it stands, the model is disappointingly urban-fixated. As Neil Ward has noted, the city-region concept is a political concept rather than a reality on the ground, concerned with shoring up the settlement patterns of a epoch that is passing. The dominating concern of both Chancellor of the Exchequer George Osborne and of Manchester’s leaders is economic growth. What we might call city-region boosterism draws on the work of the Manchester Independent Economic Review which was about “agglomeration”, the idea that bigger groupings act as attractors of investment and platforms for economic development (hence the welcome improvements to train connections with Leeds – foolishly called HS3). This all gets reduced to the short-hand of economic growth, notwithstanding the well-understood problems with the concept. The first problem is that such growth destroys the planet and far from enabling us to take mitigating action, it makes it ever more difficult to do so. Instead as we, and others, keep arguing, we need a different model, one that emphasises the local creation of wealth, the conservation of resources and fair distribution, together with measures that reflect these things and not the abstract, opaquely calculated figure of GDP and its growth, which as University of Manchester professor of economics Diane Coyle explains, should be dumped. So it looks very likely that DevoManc will give us the wrong kind of priorities, those that continue the unviable economy we already have. Years of under-investment in the north is not going to to be fixed overnight. And what investment there has already been has not trickled down. Council figures show those working in the city of Manchester earn 20pc more than those who actually live there. In other words, the gleaming new towers of the last two decades are still out of reach for ordinary Mancunians. Improve the skills of the people of Manchester, so that they can compete for contracts and investment with other parts of the UK, Europe and the World. That will mean investment in shiny projects in the city and the wealth will spread to everyone. But that thinking is flawed. Imagine there is a crowd of people watching a sporting event from the edge of the field. The ones at the back can’t see. Nor can many of the ones in the second and third rows. So some of the people at the back get boxes to stand on. But then so does everyone else, except those in the front row, who already have, in their way got boxes already. So the ones at the back, unless they can get bigger boxes, still have the same problem. Meanwhile, the trees surrounding the sports field have been chopped down to make the boxes. And in the case of the global economy, the obvious answer – bigger boxes for the ones at the back, is unlikely to be agreed: the opposite in fact: bigger boxes for those who can already afford the best positions, so to speak. The theory of agglomeration; attracting skilled workers, the ‘creative class’ and creating the conditions for investment through focusing on infrastructure and promotion of the city as an attractive location, is the expression in regional economic development of failed neoliberal economics. It minimises public intervention in the operations of the market and economy and suggests that only supply side interventions are permissible. They would, the theory goes, make the labour market work better and focus on infrastructure. Investment, employment and growth will all be taken care of by operations of the private market. It falls down not only because of the futility of competition between cities competing for mobile global capital but even when there is moderate success in this endeavour. Jobs, revenue and reductions in inequality do not materialize, as tax breaks to attract investment or easy tax avoidance starves public revenue and hyper mobile skilled workers thwart local job creation in the prized sectors that, after all, represent a fraction of employment compared to the majority, low productivity but fundamentally essential foundational economy which should be the backbone of local prosperity. A programme for regional devolution should aim to bring about a more viable regional economy, a more equal and sustainable economy, where there is universal access to high quality foundational goods like efficient affordable housing, food without an ecological deficit and adequate care and support for the more vulnerable. Incomes for workers who provide these goods should provide a liveable income standard. It should aim to seal off the leaks from both the glamorous and the foundational economic sectors which make the city a site for value extraction and skewed wealth concentration. Measures to bring about this change through more regional economic powers and collaboration would include examples from progressive local government in the UK and across the world which constitute active interventions in key sectors of the economy, acknowledging that its not sufficient to leave the creation of prosperity to foreign investment. For example, the public ownership of utilities, like the energy grid in Hamburg, could be a vehicle to support a fair and de-carbonised, distributed energy system. The creation of a public bank, similar to Cambridge and Counties for recycling idle funds into the regional real economy could mirror Germany’s municipal banks. Actively building fair supply chains which keep value circulating fairly and locally by incubating co-operatives to provide services to the regions Anchor institutions, Universities, Hospitals including the Local Government itself in areas like adult social care, as demonstrated by the Evergreen Co-operatives in Cleveland. So DevManc is looking like a missed opportunity. A missed opportunity to rebuild democratic legitimacy, and a missed opportunity to create a new kind of region, with an economy that works for all, while not destroying the planet. it, or any other future devolution proposal, is implemented. Beyond this, and it is sadly not clear whether that campaign will capture a popular mood, it is important that we all keep making the arguments for a devolution that is democratic and focuses energies on making a meaningfully defined region capable of delivering real prosperity and resilience to its people while stewarding the earth systems we all depend on. Postscript 24/2/15. It’s worth a look at this blog post by Iain Deas of Univ of Manchester. Certainly more enlightening than the puff pieces in Guardian and Saturday’s (21 Feb) Financial Times. HERE. 11/3/15. Colin Talbot, Professor of Government at UofM has a piece HERE in which he suggests that the two biggest errors are the imposition of the mayor and the failure to hold a referendum. 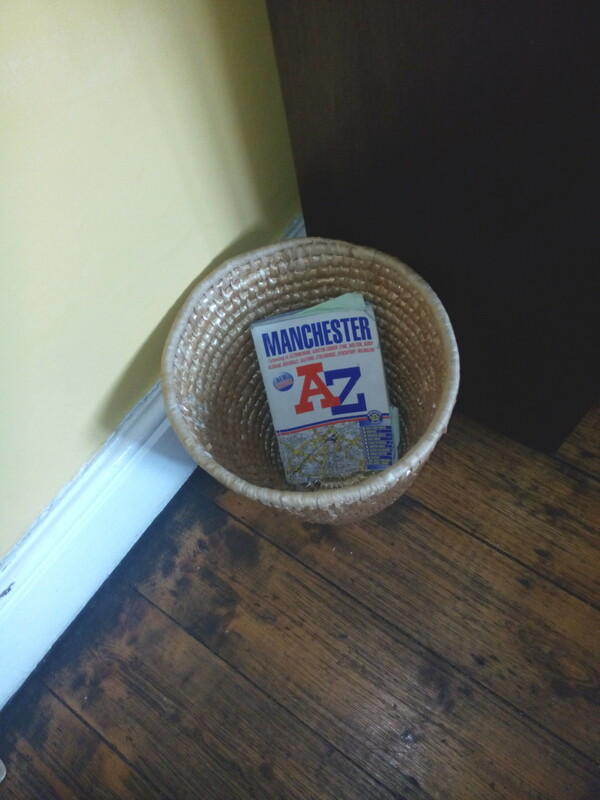 This entry was posted in economics, Greater Manchester City Region and tagged agglomeration, bioregion, city region, civic boosterism, devolution, DevoManc, economic growth, Greater Manchester Combined Authority, investment, viable economy. Bookmark the permalink. 12 Responses to Is #DevoManc a missed opportunity? Excellent. Thank you. It is interesting that you mention the German municipal banks. They would be put at great risk should TTIP be signed into force. If I wanted to live in Manchester I would have done so years ago. Yet another scheme, like the Guided, or as it’s known locally ,the misguided busway, all carried out without any reference to the electorate.. No doubt a whole army of senior management, all on megabucks, would follow quickly on behind. Brilliantly put. You were unsure where to progress from here. Part 1 will be reaching a critical mass of public awareness..part 2 will be to demand a fully resourced 6 month Peoples Devolution Congress where we discuss the matter and listen to the ideas of our brightest kin and thrash out a Peoples Democracy fit for the 21st century..perhaps have a social justice revolution to equal our industrial revolution. Yes, and that’s where it gets difficul. Devolution not an issue that is likely to mobilise people.